The transmatic transmission allows shift-on-the-go speed control. 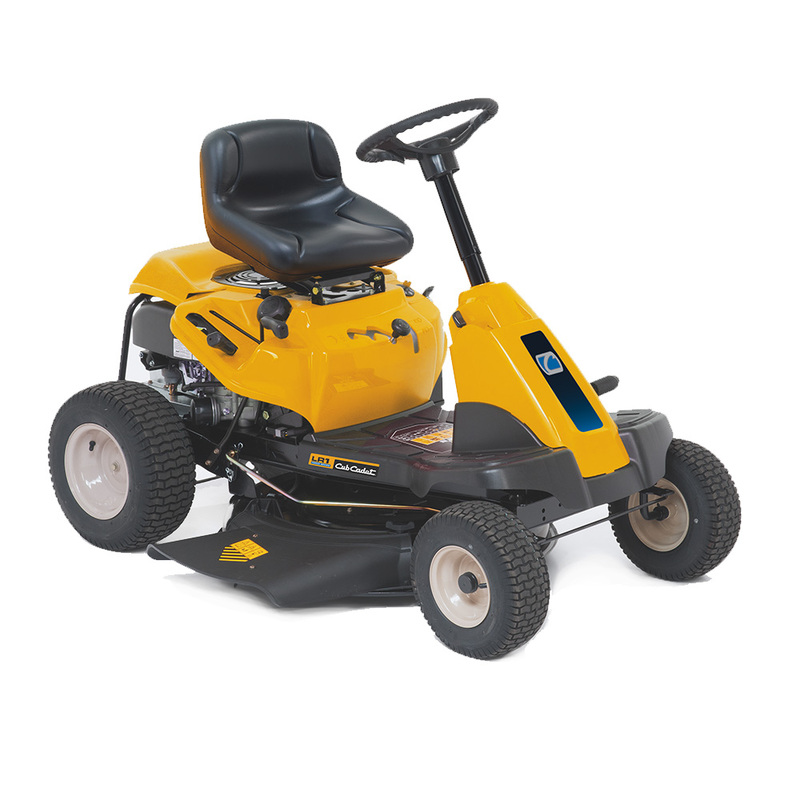 Simply choose your driving direction, set the desired basic speed and start mowing. 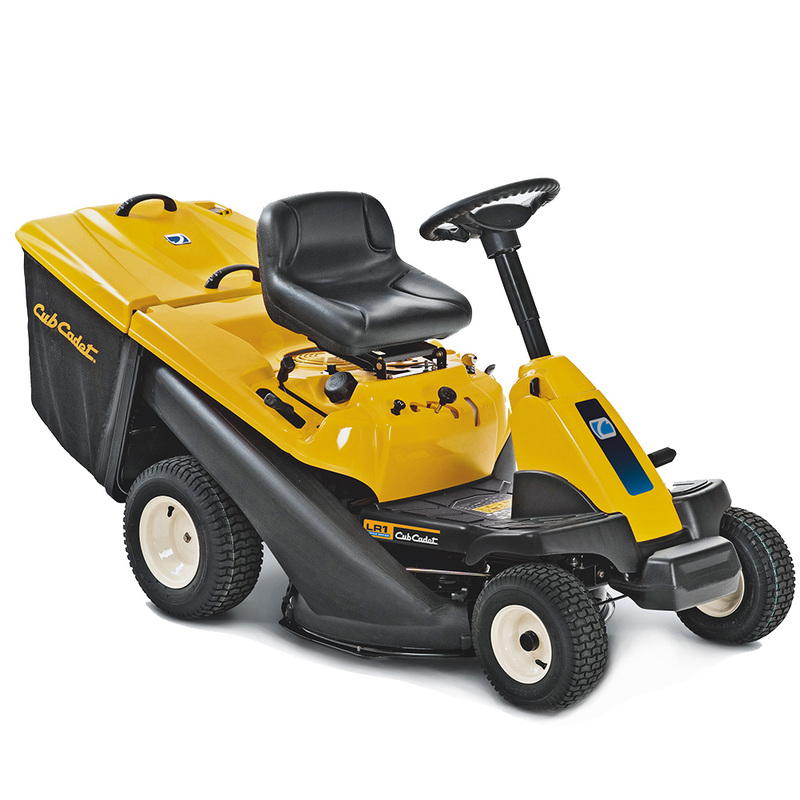 On the Cub Cadet MINI-RIDER LR1 MR76, select between 6 forward and 6 reverse speeds. Selectable collecting, mulching and discharge options come as standard with model LR1 MR76. The model LR1 MS76 offers mulching and side discharge options. Superior mulching, excellent collection and side discharge for spreading. Whatever you choose, the MINI-RIDER can handle it. A 200 litre grass catcher bag (models LR1 MR76 and LR2 NR76) with dust protection cover, two grips and fill indicator. Can be emptied from the driver‘s seat. Easily adjustable cutting height over 5 positions, from 38 to 95 mm. Both levers are located ergonomically on the right side of the seat.